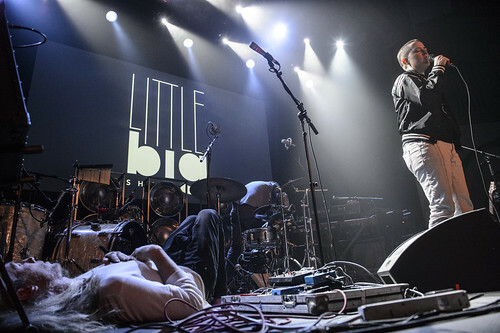 As we head towards this weekend’s Little Big Show #20 with Pickwick and Porter Ray, we’re looking back at previous editions of this concert series hosted by KEXP, Starbucks, and STG Presents. (Look back at Shows 1-5 and 6-11, and stay tuned as we continue our retrospective on the KEXP Blog all week long.) Tickets for Saturday’s show are on sale here; proceeds benefit Urban Artworks. In one of our loudest and heaviest Little Big Show concerts so far, Cloud Nothings headlined an all-star lineup with local favorites Chastity Belt and Tacocat. Appropriately, ticket proceeds went to Teen Tix — an organization providing free ticket passes that give teens access to five-dollar tickets at 56 arts organizations across the region. Grooves abounded during Neon Indian's Little Big Show performance. Drawing from material off of his 2015 LP, VEGA INTL. Night School, it was a night of dancing and getting lost in the rhythm. Aqueduct helped prime the energy with their synth-heavy tunes and Explorer Tapes wowed with a cover of The Beach Boys' "In My Room." The evening benefited Northwest Tap Connection, an organization nurturing young dancers and bringing dance to multi-cultural and generational audiences. 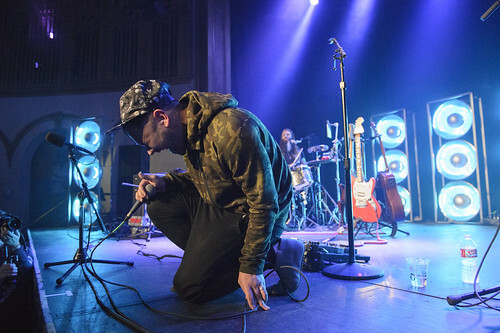 The psychedelic sounds of Unknown Mortal Orchestra reverberated throughout the Neptune at Little Big Show 14. 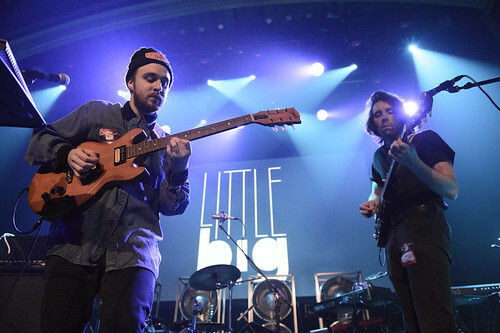 The band was complemented by the lush sounds of Lower Dens and local act Hibou, transfixing the crowd with their swooning guitars and keyboards. Proceeds from the show went to Red Eagle Soaring Native Youth Theatre (RES) whose mission is to empower American Indian and Alaska Native youth in expressing themselves through the performing arts. 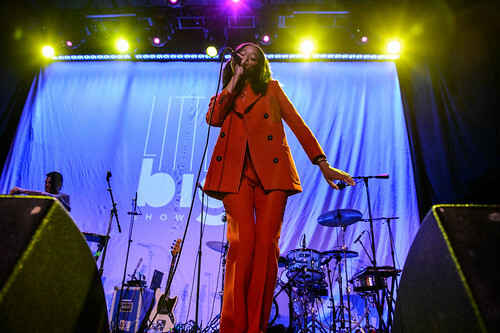 Santigold brought her vibrant, adventurous blend of hip-hop and electronic to the 15th Little Big Show. She wasn't alone, either. 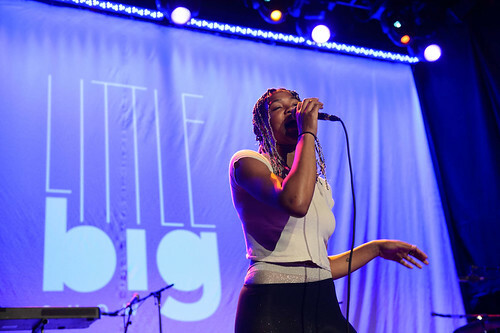 Local rapper DoNormaal helped transfix the crowd with her cosmic flow and Brooklyn songwriter Kilo Kish offered up her effortless, wondrous voice to fill the room. Proceeds from the evening went to MoPOP's Youth Programs which helps to engage young local musicians and artists through programs like Sound Off! and other community events.